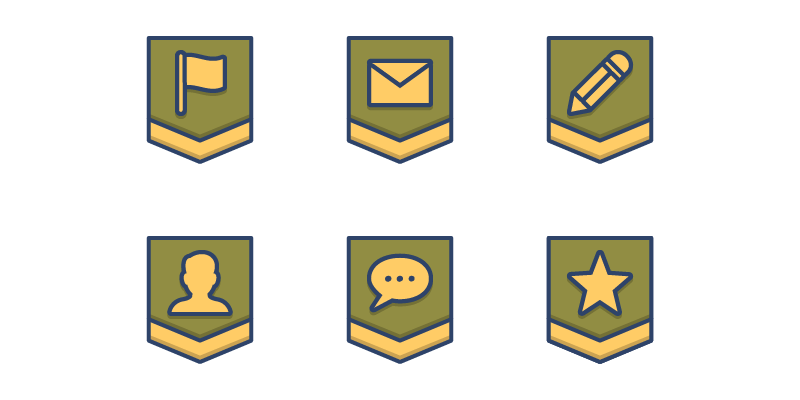 The Military Ranks bundle contains 30 unique ranks in filled outline style that you can use as featured image for your GamiPress achievements and ranks. Includes 3 different color palettes (Green, Brown and Blue) of each design in 4 sizes (in pixels): 64×64, 128×128, 256×256 and 512×512. All this makes a total of 360 files in PNG format that allows you to take the design of your gamification elements to the next level. 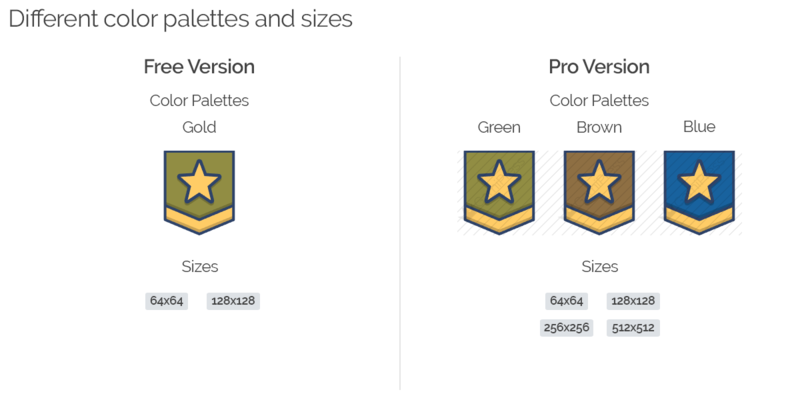 In addition, you can download a free version of the bundle that includes 10 unique designs in Gold color palette completely for free.